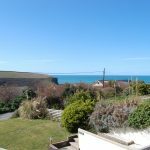 Located halfway between Padstow and Newquay on the north Cornwall coast, this small village is the gateway to family beach holidays, surfing adventures and unique dining experiences with superb holiday cottages and holiday homes as a base. See our selection of Mawgan Porth cottages. See our selection of Mawgan Porth cottages and find your perfect Cornish beach getaway. 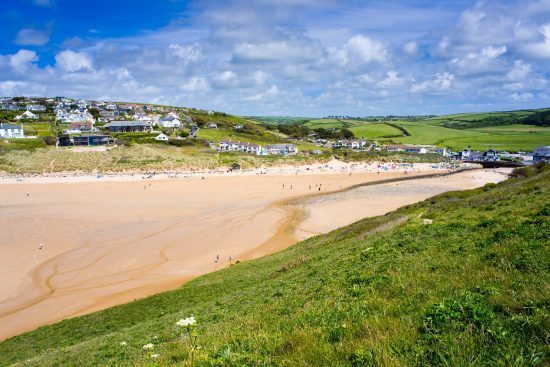 With a beautiful sandy beach and lots going on, Mawgan Porth is a North Cornwall gem. Mawgan Porth is located halfway between Padstow and Newquay on the North Cornwall coast. This seaside village has plenty of holiday accommodation, making it a lively base for a week away or short break holiday. The sandy beach is the main reason to come here but walkers will enjoy the trails along the coast and inland through the Vale of Lanherne. For eating, drinking and entertainment there are a few shops, pubs and restaurants including the Merrymoor Inn and The Catch. Mawgan Porth is one of Cornwall’s premier surf beaches, which picks up plenty of swell. It’s also a good place to learn to surf with a local surf school such as King Surf. As well as surfing, there are a number of fantastic adventure activities to enjoy in this North Cornwall destination. You can go coasteering in nearby Newquay, play a round of golf at Merlin Golf Course or try go-karting at the St Eval Kart Circuit. It’s also convenient for visiting Newquay’s attractions such as Newquay Zoo and the Bluereef Aquarium. Mawgan Porth is a great spot for a family holiday in Cornwall.